Sometimes authors, like Tolkien, use a vast amount of descriptive language, while a writer like C.S. Lewis is sparse with detail, and more is left up to the. But everyone has the right to their own imagination. A piece of descriptive prose is never going to be envisioned the same by ten different people, or even two. But, why do people always default to white? Sometimes characters are described ambiguously, or hardly at all. Writing Tuesday’s post about casing a non-white girl as Alaska in the film adaptation of John Green’s Looking for Alaska made me think about readers’ reactions to casting in book to film adaptations. Alaska is described in the novel as petite, curvy, with dark hair. That’s it. She could be Asian, Black, Middle Eastern, Lantina, Pasifika, Native American. And I have to admit, if I truly think about it, upon first reading, I also imagined Alaska as white. That doesn’t mean she stays white in my mind. If her race is different, then her story outside the world of the book may change – adding depth and intrigue that I never knew before. That’s the beauty of fiction meeting imagination. The power is in the imagination of the reader, not in the intentions of the writer. The same goes for Hermione Granger. The intelligent, bossy sidekick that almost every bookish girl sees herself in. Described as having “lots of bushy brown hair, and rather large front teeth”, and hailing from the multicultural London, imagining her as something other than white is okay. 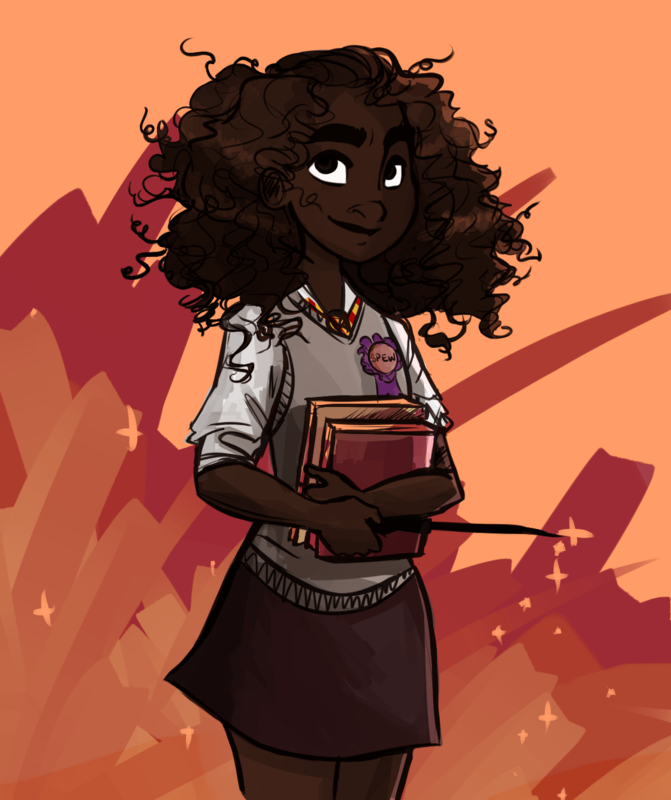 Imagine the implications of her backstory now: leaving the muggle world, where racism is rampant, hoping to find acceptance and solace in the Wizarding Community, only to find herself being persecuted again, but this time, not for her race, but for her blood. Suddenly the prejudice is much darker and runs deeper, the issue is not based on outward appearance, it is based on what runs through her veins, what makes her truly herself. No wonder she fights for social justice and change. Lately it seems that the internet has been asking the same questions as I am. Just because the author refrains from specifying their race, it doesn’t mean they’re white.